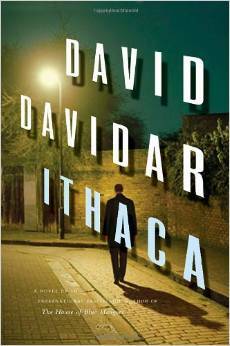 Ithaca by David Davidar (Harper Collins 2011) is the story of international publishing today. Or yesterday. The novel does not, though, read like news. Is there a story that’s exclusively about publishing anymore? And, as an extremely smart gentleman friend queried a couple of years ago when I told him I was trying to “Master” Publishing at some fine school in the U.K., “What is publishing?” Is it about breaking the right revenues and making books contagious overreaching different target markets and hitting the right shelves at the right time? Or is it a painfully rewarding lifetime aesthetic! What is the scale and where’s the competition? If the market is out to fool its participants, or set up cliques and empires in what is a measly numbers game driven by sales, distribution, and supply-chain networks, nobody is prepared enough. Roles are undefined, and good leaders a rarity. Ithaca cleverly advertises the stable of authors and books the author himself has groomed and or published over his career in publishing. The story touches on the by now trite if grim realities of a recessive industry. It’s not that books are not drowning, even as their creators are more empowered with access to better technologies or resources. Just that the story of publishing today, is not as relevant or pivotal anymore. Excitement is at an all time high only because connection is the buzzword—marketing having assumed unprecedented avatars, mergers leading the way. If strong independent retailers (epitomizing good taste) have been swallowed by giant monochrome corporations powered by big industry data and algorithms, it does not matter anymore. If good people have lost their jobs out of bad circumstances, there are only gains to be made. If bad people got famous leeching off others’ talents, it will never be made known (or matter). Publishing at its best is a beautiful lie. Ithaca (no less enjoyable or addictive) is one nugget of ode to that reality.